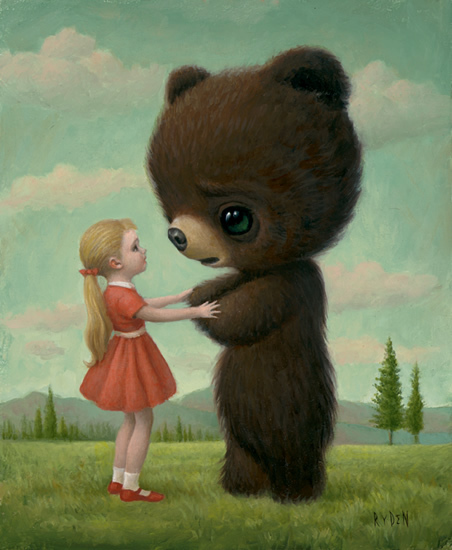 Visualistic: Mark Ryden's only non-morbid painting. I feel touched by this! (: It is so sweet and cute! This shows that Mark Ryden still has a non-morbid side! It makes me want to paint a bear in my coursework! (: Bears are fluffy!